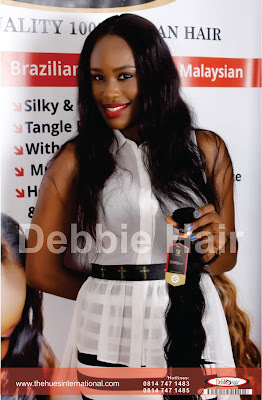 On Sunday 26th of May 2013, the beautiful serene heart of Lekki welcomed a cutting-edge 100% Luxury Human Hair brand- Debbie Hair. It was unveiled into the ever-vibrant Nigerian fashion world from the stable of The AfriHuesLimited, a division of The Hues International Limited, UK. 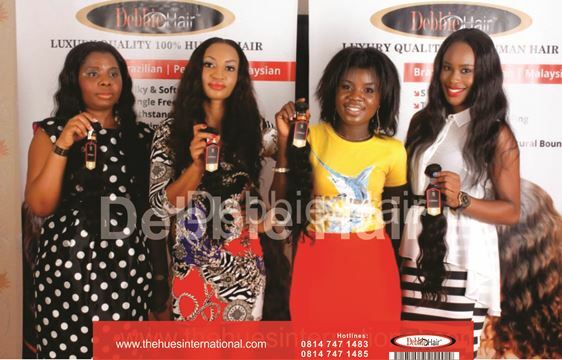 Debbie Hair launched its superior quality hair ranging from Malaysian, to Peruvian & Brazilian hair. Renowned artist and Art promoter, Chief Mrs. Nike Okundaye MD/CEO, Nike Art Gallery, Lekki Lagos, unveiled the brand into the Nigerian fashion world. 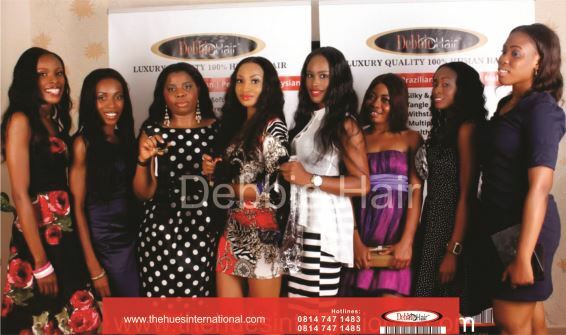 Also in attendance, were important dignitaries from various fashion houses and event organizations. 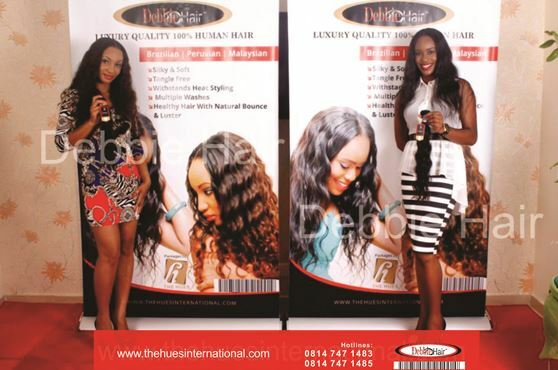 The splendor of this hair types was showcased on Debbie hair’s ravishing brand Ambassadors Wendy and Vivian as its elegance portrayed upon them a woman’s endowment of beauty. 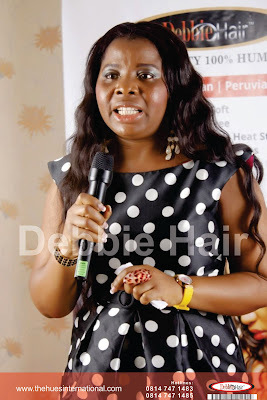 The MD/CEO, The Hues international UK, Foluke Debbie Michael emphasized on her inspiration towards the creation of this voguish Human Hair brand -Debbie Hair. She expressed her continual effort into delivering and providing 100% human hair based on affordability, class with a stylish taste. · Classy look and affordability. hair! hair!! hair!!! everywhere! hmnnnnn! If u ask now dem go say na 150K...awon alakoba! I'm sorry to say, nothing special about this hair. I wish i could say it better....its just so regular and ordinary. The hair biz is too tough for this. The biggest most illogical social parody of all time is black african women wearing the hair of other races to feel beautiful. For the ladies sha!! Na where there money suppose dey go..
which kind complex dey worry naija women kai another person hair !!!! what happen to our beautiful nigerian babes, the most beautiful woman i ever saw was in nigeria in the 90s she fine pass beyonce. The girls holding up the hair should have at least been wearing nice hair too. Not carrying "permed" hair. For WHAT does it profitteth a woman to gain all the Brazilian weave-on hair in this world, only to loose her beloved hubby to a Lady on low cut...? Heavens!! Regardless of what the hair looks/feels like, surely they can manage more flattering styles. Ladies, do better. when is enough enough?? every where u go hair hair hair...from aguda market to alade market...to the kiosks in between...do wr have that much of a complex and hide under these hideous manes like our lives depend on it...what a shame!!! As if we have a choice idiot. Gretergrace the truth is who fine fine,who no fine no fine,with or without dis hairs. who buys these stuff anymore? When babes r finding their way back to their natural hair. Abeggy. Show us something more impacting. Oya post the prices naaah. Rubbish. There is beauty in being natural. The more 1 is, d mor fake guys approach. Is it that the hair can only be styled; centre parting? And why is all they are holding same colour of hair? Abi na my eyes dey deceive me ni. Just asking. 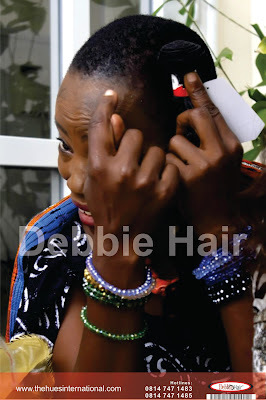 Ds one no be real hair oh,better human hair dealers full lekki phase 1,u no go find ur feet dr,abeg go balogun market get shop! Wow! I love what I see. Go ladie, its fun to be a woman. As. For me, I love the hair and the models are cute. Whoever is not proud of himself is not fit to live.Just dnt knw when africans will stop this slavery mentalty and inferiority things. I hope this self imposed slavery will stop oneday. @simple,u just hit d nail on d head!linda,if  send a pix of ♏v̶̲̥̅ natural hair that  wove α̲̅πϑ used for ♏v̶̲̥̅ pre-wedding foto,u will surely fall I̶̲̥̅̊n̶̲̥̅̊ L♥√ with africanness!...even the hairdresser was wowed...btw, Ђδω has the human hair changed the woman herself?...let's appreciate what we have Nigerian women especially! kai, see all these girls. The future of some ladies front hair lines looks bleak. My ex girl fwend milk me dry with all these hair sundry expenses,expenses here and there..taking advantages of me loving her,thank god we ave break up....got the perfect darling nwww care, not about my cash...just love me for me..thank you my darling bisola . and u wear such to sleep without fear of the dead owner? ha ,women sef. una fit sleep for graveyard because of beauty ooo. na wah. the spirit of the dead hunts oooo. The way some people commented self is scaring, because you r not innovative doesn't mean u should be making bad comments on someone product. 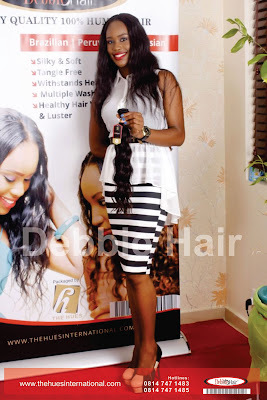 It's a nice product....tested n trusted...Long life Debbie hair, long life NIgeria.